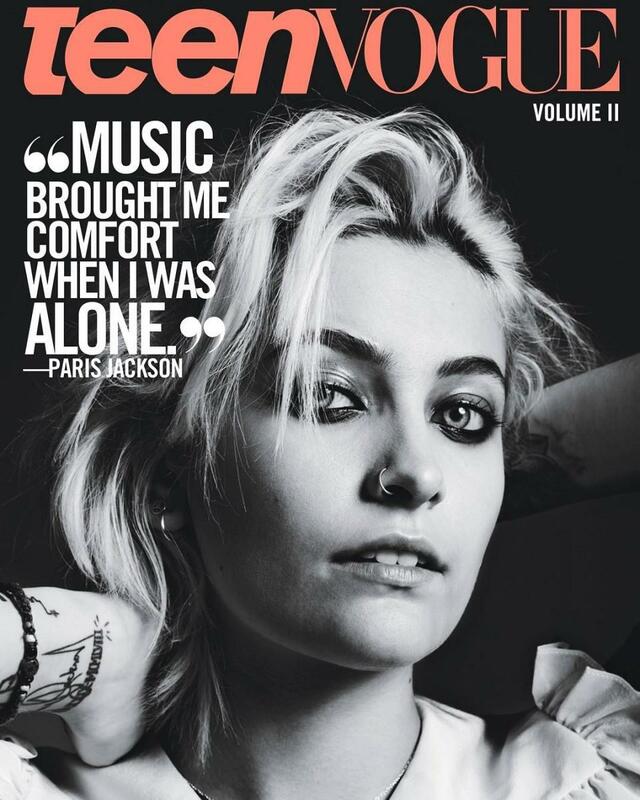 It girl du moment Paris Jackson is Teen Vogue’s newest cover girl. Hedi Slimane, who turned to photography full-time in January, lensed the 19-year-old rising talent, while Philip Piccardi chatted with her in what might be the longest and most unfiltered text message correspondence of all time. Some highlights from the interview, below—if this isn’t a 21st century journalism, we don’t know what is! Teen Vogue: Was this a conscious decision to step out more? And if so, what helped drive that decision? Paris Jackson: I honestly used to have no motivation whatsoever to be in the public eye; it scared me. I’ve seen what it can do to people, [and] plenty get hurt. But after a long time of thinking, I started to really see the kind of impact I already have on people, how I was born with a platform, and I didn’t want to waste it. There are so many people who work their entire lives to create a platform and mine was just handed to me…. Why not use it for something important? So many people right now are so focused on what kind of shoes this person has, the designer purse they carry, what car they drive, [or] whether they wear the same outfit more than once. I want to use my platform for something other than that. I want to actually make a difference. So everything that I’m doing—the acting, the modeling—it’s all just to grow my platform so I can use my voice for things that matter. TV: Since you’ve stepped out into the spotlight more, though, I ’m sure you’ve been through some ups and downs. What’s been a highlight for you recently? PJ: Well, it’s exactly that—bringing awareness to the not-so-pretty things going on in this world. I mean, you look at all these articles published [about] what is supposed to be “news,” and it’s all celebrity gossip. What I’m trying to do is show people the suffering that’s going on, the lies and manipulation, show them what is wrong and what we can do to fix it. TV: Interesting. Have you had your own challenges with the media as you’ve become more of a public figure? PJ: Of course. The bigger the spotlight, the bigger the target. People can be really cruel. I’ve learned that no matter what you do, you will always receive some kind of ridicule for it. It doesn’t matter if your heart is in the right place—someone will always have a reason to hate you. But that being said, I’ve also learned that it really doesn’t matter and that as long as I follow my heart and continue trying to do what’s right, I’m on the right path.